There are several ways to make cannabis oil. Some people use solvents such as alcohol or acetone. 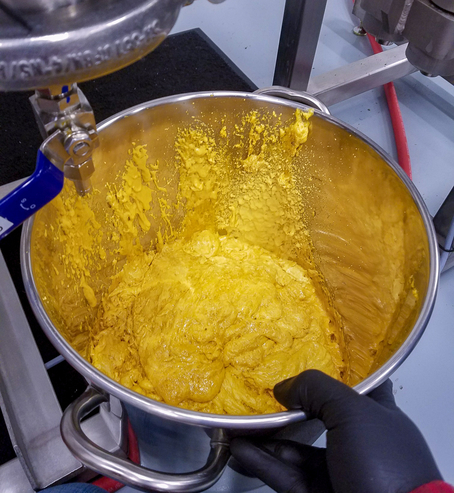 Others make cannabis extractions using compressed liquid gas such as butane. But one cannabis extraction method is particularly popular with professionals, and that is Carbon Dioxide (CO2) extraction. CO2 is all around us in the air that we breathe. CO2 is produced by our bodies, it’s a part of the natural world. Many thanks go to our friends at Vitalis Extraction Technology for the videos and images used in this week's blog. 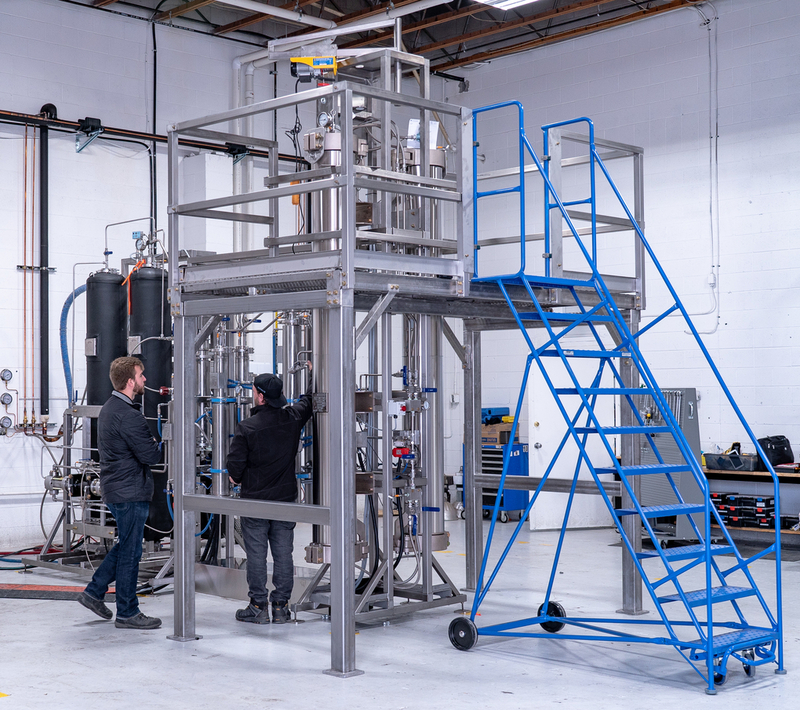 Vitalis are well known in the cannabis industry, they are leaders in CO2 extraction systems and supply some of North America’s largest cannabis concentrate manufacturers. Carbon Dioxide is a gas present at around 400ppm (parts per million) in the atmosphere. That makes it easy to collect. It’s also non-flammable, unlike many of the other substances used to make cannabis concentrates. CO2 is easy to store/transport in cylinders and is used widely in the catering and brewing industries. The magical part of CO2 is that under low temperatures and high pressures it behaves in a similar way to a solvent and will strip organic materials such as terpenes and cannabinoids from cannabis leaves and buds. Once the plant material is washed free of the oils, terpenes, and cannabinoids the CO2 evaporates away into the atmosphere leaving a sticky residue of pure cannabis oil. There is no need to worry about removing trace amounts of butane or alcohol. CO2 extractions are naturally clean and safe. Why do professionals use CO2 more than home growers? Carbon dioxide is one of the most popular methods for larger scale professional cannabis extraction companies. CO2 extraction systems are straightforward to use with no risks of fire or explosions. And the resulting oils are pure, with no need to worry about removing residual solvents. The only raw materials required is the occasional cylinder of CO2 and plenty of buds. CO2 is ideal for larger-scale extractions where several liters of oil can be made at a time. For the professional cannabis concentrate producer, CO2 is fast, easy and simple. How does CO2 cannabis extraction work? ore like a liquid than a gas. The CO2 is then pushed through an extraction tube which contains the cannabis, this is often referred to as the ‘trim’. In the large systems, these extraction tubes can be 2-3m long and hold 100 liters of trim. This is cannabis oil production on a huge scale. Because the CO2 acts like a liquid organic solvent it dissolves the resin in the trichomes. The CO2 also dissolves and removes the terpenes. These are chemicals which give taste and aroma to cannabis. After the extraction stage, the CO2 contains the oils, cannabinoids, and terpenes which were previously in the cannabis buds and leaves. The CO2 is fed into a condenser vessel where pressure and temperature are returned to normal. This leaves the cannabis oil, sometimes called hash oil. The CO2 is mostly collected and re-used, with only a small amount lost of CO2 when the extract is collected. The freshly produced cannabis oil contains lots of CO2 bubbles which can be seen slowly popping. 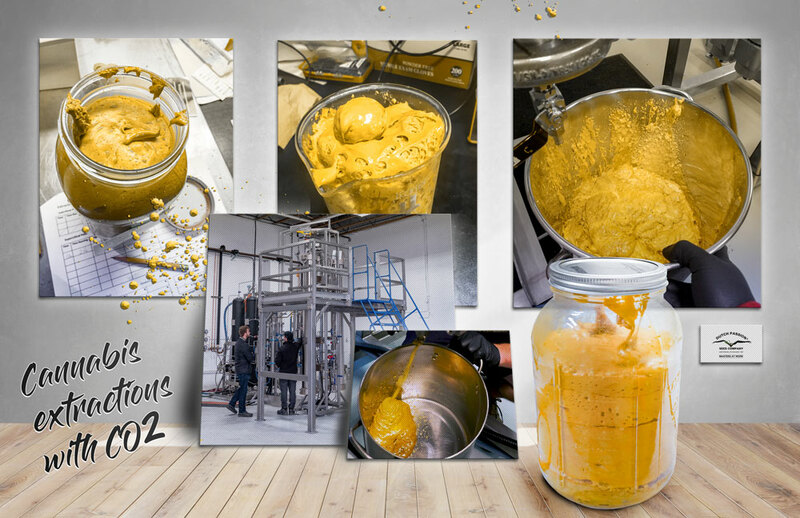 As this happens the cannabis oil turns from a light orange foam to a darker, more viscous oily liquid. At this stage, the cannabinoids have not yet been de-carboxylated. This is done later and can be achieved by heating the oil for a short period. After decarboxylation the oil is analyzed and used in various products, including edibles, vaporizer cartridges, dabbing products etc. During decarboxylation, small bubbles of CO2 are produced in the oil as THCA converts to the psychoactive form which we all know and love, THC. This happens at around 104ºC and takes around 30-45 minutes. By varying temperature and pressure slowly it is possible for the professional to ‘fractionate’ (control) the way the oils, terpenes, and cannabinoids condense out of the CO2. This enables the cannabis extraction to be condensed in slightly different ways. This allows for different types of products to be created. Changing temperatures/pressures and the ratio of CO2 to trim produces different types of cannabis concentrate. From oils to waxy/crumbly materials to shatters etc. In the hands of the professionals, a CO2 extraction system is versatile, fast, reliable and very productive. 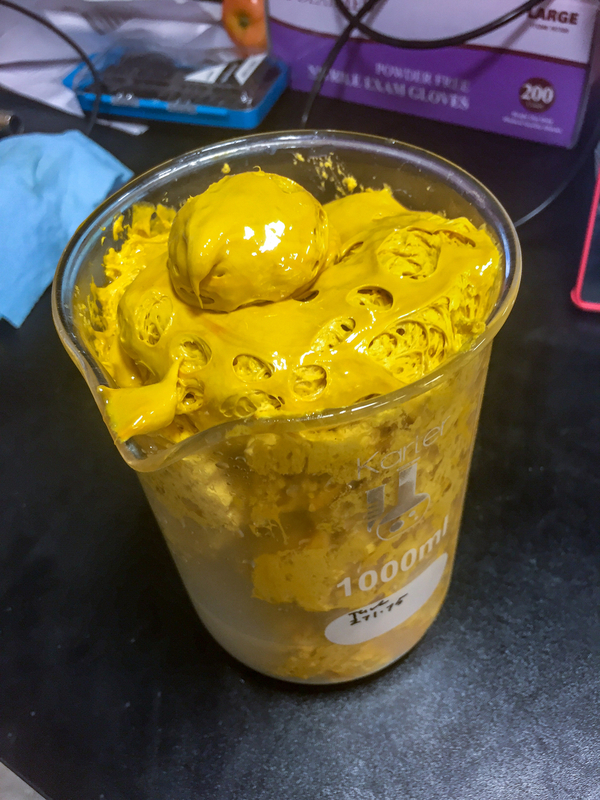 In North America, the market for concentrates has grown faster than many expected. In legal areas, many vaporizer cartridges are offered with different ratios of THC to CBD which conveniently plug straight into your vaporizer. The market for cannabis edibles, cosmetics and creams are also growing rapidly and all these markets depend on cannabis concentrates. The pressures and temperatures used by CO2 extraction systems mean that the robust equipment needs to be made from high-quality steel. The systems are usually too large for the domestic grower. The technology doesn’t lend itself to the small home grower who wants to make the occasional few grams of oil. CO2 extraction systems suit the large scale commercial extract producer. And they do the job very well.